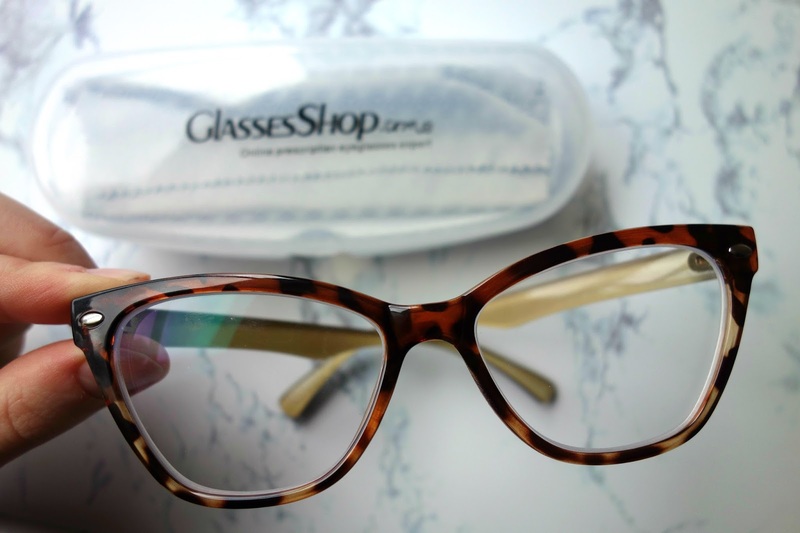 Glassesshop.com is an online glasses store hosting thousands of pairs of glasses frames and prescription sunglasses. At first, I was quite sceptical about ordering glasses online as I wouldn't normally consider ordering glasses on the internet without trying them on first. 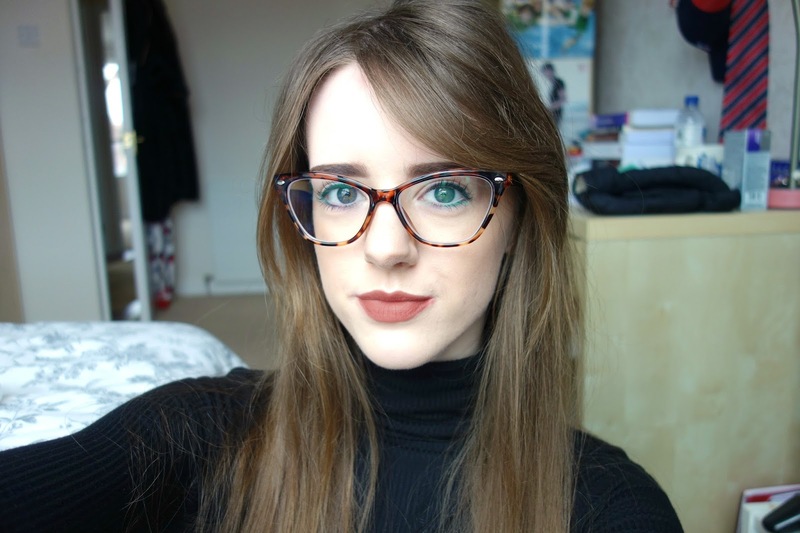 Thankfully, glassesshop.com gives the option for you to 'try on' the glasses by uploading a digital photo of yourself to the website and the frames chosen will be placed on your photo. Seems a little bit gimmicky, but it did help in the initial stages of crossing a few potential frames off my list. In addition, all glasses frames on the website contain measurement details. I used my current frame measurements and compared them with the frames I was considering to make sure I wasn't unexpectedly surprised when they arrived in the post. I opted for a pair of Novia Cat Eye Glasses in Tortoise. I always play it safe with glasses and never drift far from a traditional black pair, but I'm really glad I branched out and tried a slightly different design and colour to what I'm used to. The glasses arrived in a clear plastic case with a glasses cloth. The frames are really sturdy and I'm really impressed with the high quality taking into account these frames retail for just $19.95 (around £16). In addition, if you use the discount code GSHOT50 at the checkout, glassesshop.com will discount 50% off your chosen glasses/sunglasses (sale items excluded). The only causes for concern I would raise is the shipping time. My glasses were shipped from China, so they took a bit over 2 weeks to arrive. 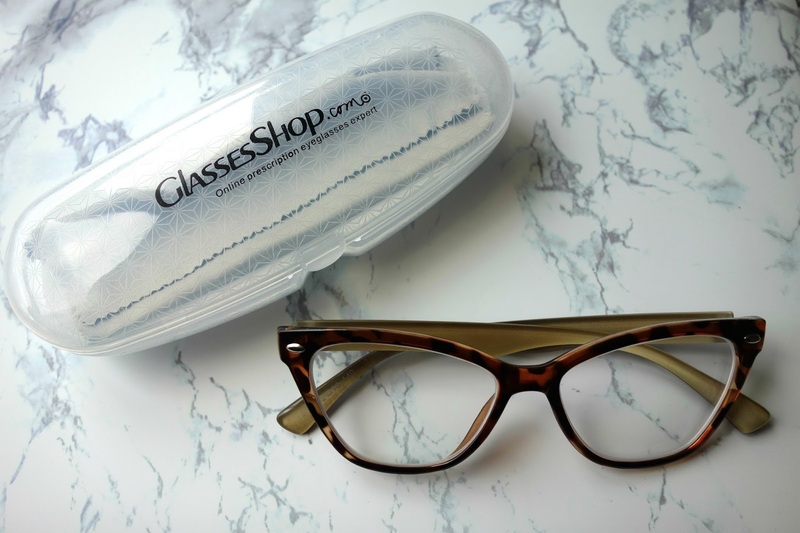 Also, if you are interested in ordering from glassesshop.com, make sure you check out the returns policy before ordering as there are a lot of conditions such as the 50% restocking fee and the exclusion of sunglasses and designer frames in their return policy. 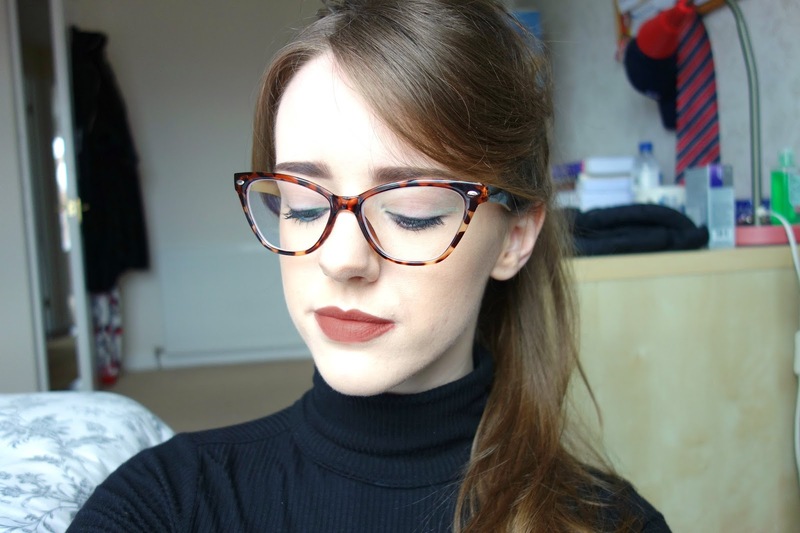 Overall, I'm extremely pleased with the glasses I received from glassesshop.com and I'm already looking at ordering the same pair in black. Although I was a little bit apprehensive about ordering frames online, I will definitely be more confident in doing so again in the future. Hi!!! What lipstick are you wearing here? 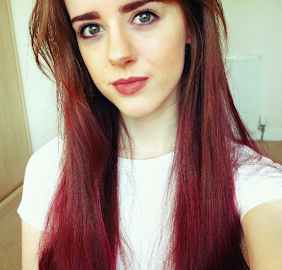 Max factor colour elixir in burnt caramel!